Alcohol Causes Many Yeast Infections - YeastInfection.Org by Eric Bakker N.D. I have seen several patients in particular who find it almost impossible to stay away from alcohol yet who have digestive issues, skin complaints and fatigue. This to me is saying that you have a money problem yet you keep taking on more credit with the bank and continue a gambling habit. Of course you have a problem, and the cause is right under your nose but you are either in denial or you just can’t be bothered. With women it is usually the wine and chocolate, with guys it will be beer or wine. I can’t think of any food or beverage more destructive for the candida patient than alcohol. The more resistant the patient is in wanting to give up all alcohol entirely for at least 6 months (to allow the digestive system to recover), the more likely it is that alcohol is underpinning the candida condition. 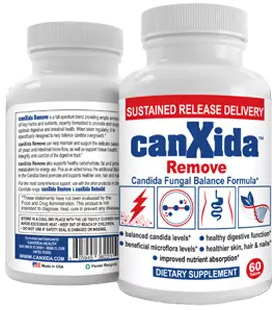 Many candida patients also have anxiety, mood swings, impatience, irritability and even depression. These conditions appear to go hand in hand with chronic candida sufferers, especially if regular alcohol intake is apparent. Some candidiasis sufferers will feel, and appear to be, intoxicated. An unusual symptom of certain people with severe candidiasis is the presence of alcohol in the blood stream even when none has been consumed. First discovered in Japan, and called “drunk disease,” this condition creates strains of candida albicans which turn acetaldehyde (which is the chemical created by sugar and yeast fermentation) into ethanol. This is a process well understood by distillers of homemade brew. Can I Eat Asparagus on a Candidiasis Diet? A medical test has been developed in which, after an overnight fast, the individual is given 100 grams of pure sugar. Blood samples taken both before the sugar loading, and an hour after, are measured for alcohol. An increase of alcohol indicates yeast “auto-brewery” intoxication. Another connection between alcohol and candidiasis has been found in a study of 213 alcoholics at a recovery centre in Minneapolis, USA. Test and questionnaire results indicated that candidiasis is a common complication of moderately heavy drinkers and alcoholics due to the combination of high sugar content in alcohol and the inability of drinker to assimilate nutrients. Additionally, female heavy drinkers with candidiasis were significantly sicker than non drinking women with candidiasis. Many of the symptoms exhibited in drinkers such as insomnia, depression, loss of libido, headaches, sinusitis/post-nasal drip, digestion and intestinal complaints, overlap with those in candida overgrowth. Many candida patients are at risk for various ear, nose, throat or skin infections which are treated with … antibiotics. It is interesting to hear those who are chronically infected with candida yet who don’t drink alcohol, to say that they may feel “drunk”, spaced out or a bit tipsy. As the alcohol produced by the yeast begins to be broken down it creates acetaldehyde, a chemical which is even more toxic to the brain than ethanol itself, which insidiously undermines brain functions and damages neurological structures. When we drink alcohol, it is broken down in the liver where an enzyme known as alcohol dehydrogenase converts it into acetaldehyde. Then another enzyme breaks it down further into acetate, which gives our cells energy. The problem is that in alcoholics or people with a high level of toxicity the body’s ability to convert acetaldehyde is undermined. High levels of this chemical remain in the body and can cause a kind of poisoning which not only does physical damage but can very much distort mental perceptions. This is why some people I have seen with chronic and systemic candidiasis (and especially those who drink plenty of alcohol) can have depression, anxiety, mood swings and irritability. So now you understand, if you like a drink and have candida you MUST stop drinking for some time and restore your digestive system, repair the “leaky” bowel and work on building a healthy bacterial population and then in time re-introduce alcohol.